We sat on the couch together, my youngest child and I, and she told me she wanted to read to me. The book was Callie Cat, Ice Skater, which I had read to her several times, but she really liked it, so she wanted to hear it again. She started reading to me, and at some point, I realized a big grin had spread over my face. It had occurred to me that this was it, she was the last one; the last of my children was able to read. Sure, there were words she was stumbling over, and sounding out, but she was also commenting on the events of the story and the illustrations – she was enjoying reading! -- and the sound of her voice was like music to my ears. After having gone through this experience with four children, I’m still amazed by the process. How had it happened? How had they learned? Like most parents, my husband and I had no special knowledge on how to teach a child to read. We did not strictly follow a particular curriculum or instructional method. Like other parents, we read to our children from the time they were babies, pointed to pictures in books and magazines, and talked to them about what we were looking at. We sang our ABCs, played with magnetic letters on the fridge, and letter blocks on the floor, and played seemingly endless games for learning letter sounds. And it’s fascinating, because all those very informal "lessons" -- the listening to stories and playing -- somehow, gradually came together, and they just – started reading. We can no more take credit for that than we can for "teaching" them to speak. That day, as I sat reading with my daughter, I was strangely moved – maybe a little sad and nostalgic for those bygone baby years – but mostly, I felt joy. I was thinking that now, she’s joined her siblings. Now they can all fly…. 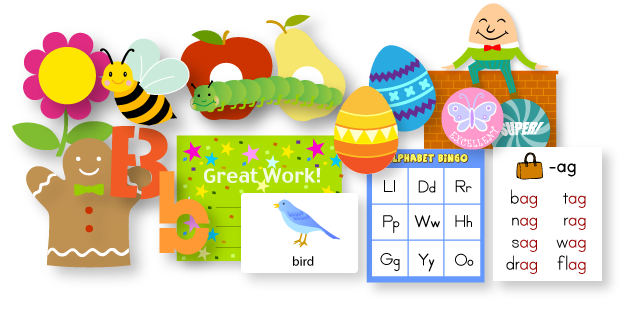 For those of you helping your children learn to read, here is just a sampling of the many free resources available. 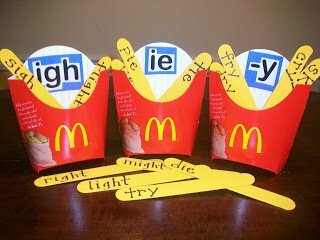 The best are easy-to-implement hands-on activities that turn learning letters and sounds into a game.